Finding the right software for your company can be incredibly difficult, especially when there are a lot of options and the software you need is complex. Your odds of choosing mediocre software are fairly high. For a combined 45 years, we’ve been evaluating, buying, implementing, configuring and using software. We have created and refined a method to help us quickly sort through all of the options, save a lot of time, and end up with the right software for what we need. We hope this process helps you, too! Software that runs part of your business can often take a long time to set up. Choosing the right software the first time will save you the massive headache and expense of switching to a different system. Even if it takes you days or weeks, waiting until you are 100% confident in your final choice is DEFINITELY worth it. You will save a LOT of time if you can outline exactly what problems you are hoping to solve before you start shopping. This is the most important thing we do to pick the right software, and it saves us DAYS of searching and testing. We have learned that the quickest way to build a list of what we need is to ask for help from everyone that will be using it. Ask them all questions like what features are absolutely necessary to do the job, and what features the perfect software would have. Next, we prioritize that list based on which problems are costing us the most money, or are having the biggest impact on our business. Rarely do we find software that is a perfect match for solving all of our issues, so this helps us to buy software that addresses our most significant problems. If there are more than a few problems, we will list them in a spreadsheet so we can check them off as we try out different products. Looks simple and is easy to use. We prefer software that is intuitive and easy to set up, which saves us lots of time. Stable. Guaranteed 99.9% uptime if it is cloud software, regular backups, and secure against data breaches and hacking. When we read customer reviews, we make sure there are not many reports of data errors or really bad software bugs. Reporting at a glance, as well as excellent advanced reporting. We check this by looking for all of the reports that we regularly use. Accessible from all of the mobile devices and computers we use. These include Mac, Windows, iOS, Android, and other operating systems. Good training and support available. Software can never be perfect, so it is great to have knowledgeable people helping you who are easy to get a hold of. An audit trail, so you can always look back and see the what, why, and who for every change. Scalability. 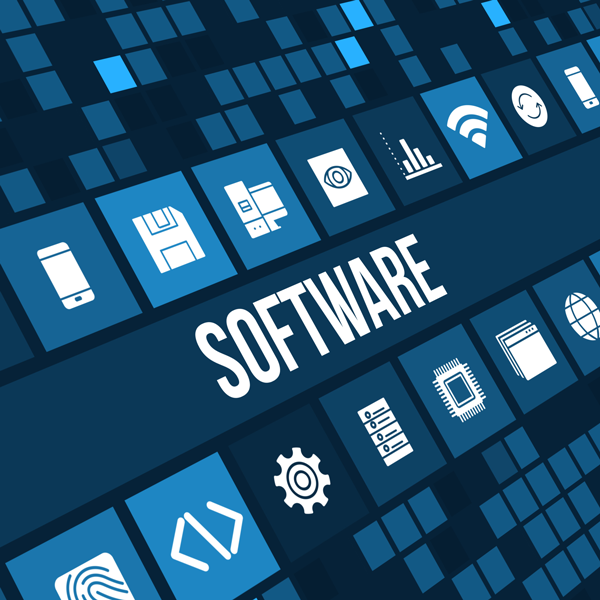 Ideally, the software you choose will allow you to add and subtract features easily as your business grows or shrinks so the features you have are always just right for your needs. Switching to bigger software every few years as your company grows is a MASSIVE headache. Besides knowing exactly what you need, the second most important thing is to figure out what software you already have and how your new software will work with it. Finding software that does everything you need AND works well with the software you already have can be life changing for your business. Large businesses usually buy one mega software package that does everything they need, including accounting, inventory management, customer service, returns, etc. But it is extremely expensive. Small businesses have an awesome alternative, though. They can buy inexpensive specialty software for each business function, and it can be just as good as the larger business software as long as all of the pieces integrate with each other. For example, if you already have QuickBooks Online for your accounting software and you want to get time-tracking software, you would want the hours your employees work to automatically transfer to QuickBooks Online so you could process payroll. An integration between the two solutions would save you the time and hassle of manually entering all of their hours into QuickBooks Online and would also eliminate potential typing errors. The first place we shop is on the website of the software that we already own to see if they have an integration with the type of software we are looking for. An example of this is the QuickBooks app store at apps.intuit.com. Once there, we would search for the type of software we want, like “time clock,” and we would get a long list of options that integrate with QuickBooks Online. In this list, we’d look for software that has 4 or 5 stars and a lot of reviews compared to the others, and’d we add those to our list of potential options. If the app store has at least two good options that you are interested in, you can probably skip steps 5 and 6 for now. Next we will check review sites like softwareadvice.com or capterra.com to see what they recommend. Pay special attention to the most recent reviews to see if the software is getting better or worse over time. There are lots of review sites, but we prefer professional referral sites like these because the comparison resources are excellent and they have verified customer reviews. If we still have not found a few good options, then we will search online. This year we researched and bought new chat software by searching for phrases that included our most important features. There are over 280 chat applications so being specific with our search phrases helped narrow down the options quickly. In the search results that come up, we click on the top 10 or 20 results, and the ads. If a company can afford to place ads, then it is a bit more likely they are successful and have a great product. If there are a lot of options to choose from, we will save time by first evaluating the company’s website. If the website looks old, unprofessional or confusing, it can often mean their product is equally bad, so you can probably ignore them. On the websites we like, we look through the “features” section of their website to see if it matches our prioritized list of issues. Ideally, the software you choose will have everything you were hoping for and will also save you and your employees a lot of time. Saving time is often the biggest return you get when you invest in software. We usually aim for a return on our investment that is at least 10 times what we paid, and we usually get a return that is between 30 and 100 times. For example, we had a couple of engineers who usually spent a few hours a week trying to locate where new code errors are. We recently found an application that proactively reads all of the code and locates errors for them. It even alerts the engineers to errors in the code they are currently writing. That software service costs us $30 a month, but it saves us over $1,500 in developer time—which is 50 times more than we pay, and is absolutely worth the expense. We are always looking for software like this that we can implement throughout our business. We generally ignore the cost of a new software product until the end of our evaluation process because the difference in cost is never worth settling for an inferior product. We’ve tried, and we’ve regretted it every time. Using the steps above, we are typically able to narrow down our list to the two best software packages for our needs. At this point, we sign up for a free trial of each one. During the trial period we will test the software using real examples of the work we do so we can observe how quickly and smoothly each process runs, how the reports look, how easy the software is to use, etc. If we ever need more time to evaluate the software, we ask the company to extend the trial. Every company we have asked has said yes. Ultimately we will try to test out all of the problems we are hoping to solve to see if it does everything we need. By this point there is often an obvious winner between the two. Choosing the wrong software and having to start over with a new one is the most time consuming and frustrating error. The second worst error is buying the right software, and setting it up wrong. We implement our new software methodically and often with guidance from the company that built it. If we are not exactly sure how a feature works, we always ask. Assistance from a knowledgeable software trainer usually costs about $200 per hour, and is also worth every penny. If we are replacing an older system with a new one, we typically introduce it slowly to make sure we have set up everything correctly and to give our employees enough time to learn how to use it properly. 10. Do Lists Always Have to End with 10? We guess so. Anyway, good luck shopping! If you need it, we have a checklist of these steps that you can print.